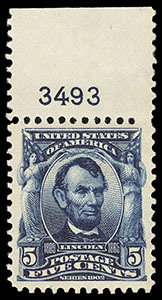 1903, 5¢ blue, top margin plate number single, o.g., never hinged, perfectly centered within evenly balanced margins, stunning intensely deep color and Post Office fresh, Superb, a truly exceptional plate number single; with 2011 P.F. certificate. 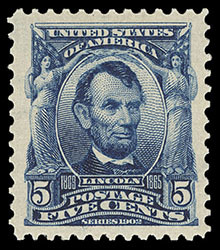 1903, 5¢ blue, o.g., never hinged, well centered amid large oversized margins, rich deep color on bright fresh paper, an Extremely Fine jumbo, a striking large margin stamp, ex-Killien; with 1997 P.F. 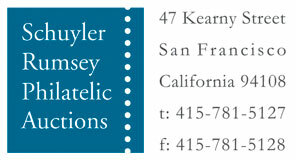 and 2006 P.S.E. certificates, the latter Graded (XF 90J, SMQ $650). 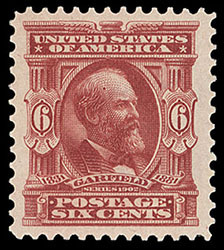 1903, 6¢ claret, o.g., never hinged, uncommonly wide margins, rich radiant color and Post Office fresh, an Extremely Fine jumbo; with 2013 P.S.A.G. 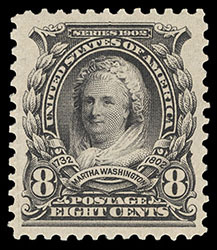 certificate Graded (90J, SMQ $700). 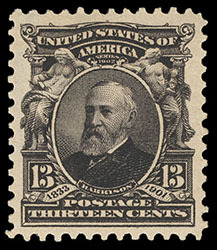 1902, 8¢ violet black, o.g., never hinged, large margins and near perfect centering, stunning deep and intensely rich color on bright paper, Extremely Fine to Superb, a striking never hinged gem; with 2014 P.F. 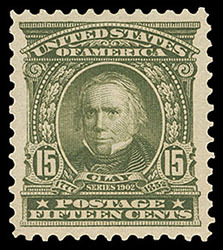 certificate Graded (XF-S 95, SSV $875). 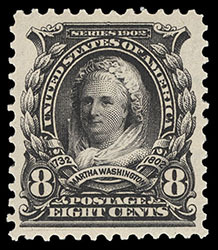 1902, 8¢ violet black, o.g., never hinged, strong color and crisp impression, large margins and near perfect centering, Extremely Fine to Superb, a choice gem; with 2005 P.S.E. certificate Graded (XF-Sup 95, SMQ $800). 1902, 13¢ purple black, o.g., never hinged, choice centering within large well balanced margins, stunning deep rich color, Extremely Fine to Superb, a remarkable eye-arresting gem; with 2012 P.S.E. certificate Graded (XF-Sup 95, SMQ $775). 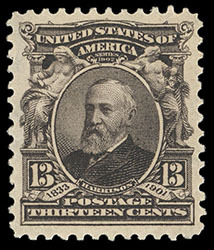 1902, 13¢ purple black, o.g., never hinged, rich vibrant color on bright fresh paper, large margins and exceptional centering, Extremely Fine to Superb, a wonderful never hinged gem; with 2002 P.S.E. certificate Graded (XF-Sup 95, SMQ $775). 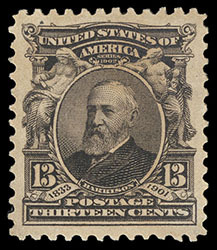 1902, 13¢ purple black, o.g., never hinged, beautifully centered amid large oversized margins, rich vibrant color, an Extremely Fine jumbo, rarely encountered so big; with 2007 P.S.E. certificate. 1903, 15¢ olive green, o.g., never hinged, rich deep color, well centered amid wide margins, Very Fine and choice; with 2011 P.F. certificate. 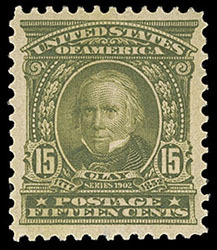 1903, 15¢ olive green, o.g., very lightly hinged, exceptional centering, bright and fresh with rich bold color, Extremely Fine to Superb; with 2011 P.S.E. certificate Graded (XF-Sup 95, SMQ $500).